If I could take all of my doses of history through books such as Windshift, I would be much more knowledgeable. Many of my friends (particularly members of Military Writers Society of America) are lovers of history. That is never where I wanted to put my reading time, until I’ve had the honor of reading historical fiction, which is well-researched…with the facts intertwined between meaningful and realistic characters and interesting storylines. 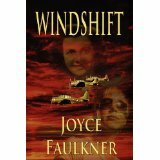 Joyce Faulkner definitely did her research and teaches readers about the WASPs (Women Air Service Pilots) from WWII in Windshift. Her main characters Shirley, Emmie, Delores, and Mags are women, which readers will think about long after finishing the book. Their personalities all so different, and Faulkner uses their lives to pull us into the times when women serving their country were looked down on by male pilots and others in society that thought women had no place in the military, let alone in an airplane. Windshift reads as a memoir…I loved the book from beginning to end. Thank you, Joyce Faulkner, for teaching me about these courageous women in such a beautifully written book. You honor our country by doing so, just as the WASPs honored our country by their service. What can I possibly say that wasn’t already shared in one of the other 100+ reviews? Proba bly nothing. But it is true to say that Your Gift to Me is having an impact on people. 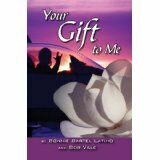 Bob Vale and Bonnie Bartel Latino worked together to create a story that is getting noticed and appreciated. How two people, who have never met in person, can put together a novel, is still beyond me. Think about it…in reading Your Gift to Me there are no indications of disjointedness…and don’t think that Bob added all of the military knowledge…not true…I have that straight from Bonnie (who I had the pleasure of meeting at the Military Writers Society of America conference)…it is a work of art to bring this book to the beautiful story that it is…a love story, a story that shows that there is resilience to the human spirit…but the journey might not be the one that we expect. All of this put into a military setting…with characters that readers are relating to and thoroughly enjoying. Congratulations, Bonnie Bartel Latino and Bob Vale. Your book appears to be getting the recognition that it deserves. My hope for you: That you’ll get to meet in person some day! Kelly Farley, along with David DiCola, have put together a resource unlike any other for grieving dads. The book, Grieving Dads To the Brink and Back, touched my heart as I was honored to be able to copy edit for Mr. Farley and Mr. DiCola. My husband and I have several friends who lost their sons to accidents—one in a car accident and one in an electrical accident. The thing that we both discovered was that the parents wanted someone they could talk to about their sons. So often, friends of grieving parents tend to avoid discussions relating to the children. People become uncomfortable around grieving parents. What I so appreciated about Grieving Dads is that it isn’t just for the grieving dads to read, but is also a resource for those of us with friends/family that find themselves in these grieving situations. Learning about historical events through the eyes of the people that lived during those times is one of the most fascinating ways to approach history. The Road to Frogmore, a book of historical fiction, opened up lives and events from the Civil War era, of which I was totally unaware. Carolyn Schriber did a wonderful job of researching, along with using information from both diaries and letters to make discoveries regarding the women who made a huge impact on the lives and times of emancipated slaves. It may be that I related to Laura Towne’s dedication as a teacher, as I spent almost the same amount of time teaching young people. Or it may be that I related to The Road to Frogmore because I am the adoptive mom to three African American sons, and I truly do appreciate all that Laura and Ellen accomplished in the field of education, as well as their advocacy of equality, which has impacted the education of all African Americans. 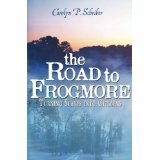 But truly, the book impressed me because it shares so much of an important part of history that I never would have known about if it weren’t for the efforts of Carolyn Schriber in her book, The Road to Frogmore. Sandra Miller Linhart in The Elementary Adventures of Jones, JEEP, Buck, & Blue has written a great book for children, probably third grade and up. These books can be found as singles, but I thoroughly enjoyed having them all together, so I could just read from one to another. Each story is titled for one of the characters in the book, and the story is written from his/her perspective. I grew to love all four of the characters who present a very diverse group of friends. JEEP (James Edward Eugene Parker…gotta love it!!) at first called the other three “misfits,” before he banded with them. They are great kids, each dealing with his/her own problems causing a struggle to fit in for different reasons: one’s father was killed while serving his country, another’s parents had to move across the country for months due to her father’s injuries while serving in the military, another is living with his grandfather due to his parents being in rehab dealing with alcoholism, and the last is a very bright kid who is small for his age, but part of a large adoptive family. These kids grow to be a true support system for each other. The fun part of the book is that the author has these kids getting into all sorts of adventures. As an adult, I enjoyed the book very much and will recommend it to students looking for a great read. I was given the book for the purposes of writing a review. I’m thankful for the opportunity, and for the fact that it isn’t always easy to find such great stories for the “tweens” to read. Looking for an excellent book for middle schoolers and YA readers? Believing in Horses is just that! Sadie, the main character faces struggles when she has to move and her father deploys to Afghanistan. Sadie is a twelve-year-old who proves that kids can accomplish great things, that it is okay to struggle, and things don’t always go right, but struggling for what you believe in can be worth it all in the end. Life isn’t easy, and this book is realistic in sharing that fact. People who love horses or other animals will especially enjoy this book, but it should not just be read for that reason. This book shares how a young person can set goals and what it takes to achieve something very special. 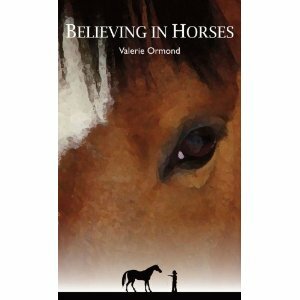 Author Valerie Ormond added tension and suspense to Believing in Horses, which opens up the book to many more readers. This is an uplifting book, which I highly recommend. So what are all of the secrets surrounding this case? Mystery abounds…what is fact? What is fiction? Trust me when I say, when you finish this book, you will be shaking your head and asking the same questions. As I said, Mike Angley is a genius who has put together a superb read. Child Finder Revelation can be a standalone read but be sure not to cheat yourself out of the first two books in the trilogy before you scoop up this one. These are all topnotch books in the mystery thriller genre. Become a Child Finder fanatic. You’ll be glad you did! editing made easy: simple rules for effective writing by bruce kaplan is a book that I requested to review due to being a copy editor, feeling that it just might be a great resource for myself, as well as wanting to share it with my author/clients. I was not one bit disappointed. I felt that Bruce Kaplan was clever in not using capital letters in the title of his book or for his name on the cover. To me, it makes Kaplan’s firm belief that everyone must be familiar with the particular style guide that relates to the location of publication. As a copy editor, I found it necessary to create individual style guides for each author that I work with, for the two of us to be sure to stay on the same page when editing (consistency). As Kaplan states in his book, “English is a flexible language, and writing a creative calling. There are many acceptable ways for writers to express themselves.” The key (he calls it a secret) is to be consistent. This is a small, but packed book, filled with handy references. I will not be without it at my computer. I plan to purchase a number of them to share with my clients. I have already shared its availability with several publishers. I am thrilled with the contents of the book; my suggestion is to check out the content pages at Amazon (with the “look into the book” feature). I believe if you have an interest in improving your writing, or helping others to improve their writing, then this is the resource that you should have at hand. I am very thankful to the publisher for giving me a copy of the book for review purposes. From A to Z What a Veteran Means to Me! is an excellent resource for families and for the classroom. The fact that it was illustrated by an 11-year-old and edited by her 9-year-old sister, increases the connection that children will make to this book. It is wonderful to have a resource that can be shared with children to easily learn about the U.S. Armed Forces. The author, David Rabb, served in the Marine Corps and is currently a colonel in the U.S. Army Reserves, having served 23 years, making him an expert in the field. This book could be used with preschoolers through high schoolers, with some ingenuity in lesson preparation. I plan to use it with third graders for Veterans Day learning sessions. Thank you, David, Isha, and Gaya for creating such a great resource, which honors our U. S. military. Sujata Rayers, author of The Absurd Adventures of Mira chose to use the word "absurd" in her title. After reading the book, I was thinking about my review, and I decided to look up the word "absurd." Here is what I found: "utterly or obviously senseless, illogical, or untrue; contrary to all reason or common sense; laughably foolish or false." The synonyms for absurd are listed as irrational, silly, ludicrous, nonsensical, ridiculous, and preposterous. I must admit that while growing to enjoy the character of Mira, I thought that many of the "adventures" that she experienced truly were unusual and out of the ordinary. Author Rayers truly packs many negative experiences into one character's life. For her sake, I hope that this book wasn't based on personal experiences...not all of it, at least. But be that as it may, the main character of Mira, drew me in. Through all of her experiences, she battles a weight problem due to emotional eating. There are many of us that can relate. Mira, through all of her ups and downs, is able to get control of that problem, and lose over half of her body weight. But the message is way more than a weight loss message...it is a message for looking for the positive even while traveling on a negative journey. Mira is a resilient character...one who is caring and giving. She works through all of the "mis-adventures" that come her way through the people that come into her life. So, I would say that even though the storyline takes us through "absurd adventures," readers can still learn through Mira and enjoy the book. It does not fall into the category of "laughably foolish or false," even though readers will find themselves laughing at times. Tears may also come while reading when readers relate to Mira's emotions...so Sujata Rayers has created a story with an emotional roller coaster, but leaves both her character and readers with hope at the end...which just might be the beginning. 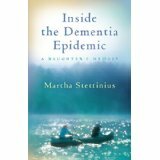 Inside the Dementia Epidemic by Martha Stettinius took me back about twenty years to when my family was facing the reality of Alzheimer’s as it stole away my father. I wish I would have had this resource when our family was struggling with the issues surrounding this disease. That is why I requested a copy for review. I want as many people as possible to learn about this resource that will help them as they journey the path of Alzheimer’s. Ms. Stettinius neither sugarcoats nor vilifies the disease of Alzheimer’s and she opens up regarding her feelings as she walked the journey. Her honesty is honorable…and is the thing that people will be able to relate to as they face the various “stones” placed in the pathway, such as home care, assisted living, rehab, memory care, and nursing home settings. The Alzheimer’s Association describes the seven stages of the disease, and Ms. Stettinius has included this in the book. I found this information extremely helpful. The book is optimistic but realistic…if you know any families dealing with Alzheimer’s please refer them to Inside the Dementia Epidemic. As a teacher of third graders, I am always on the lookout for great books for children to read. When an opportunity arises to review new books, I grab onto as many children’s books as possible. 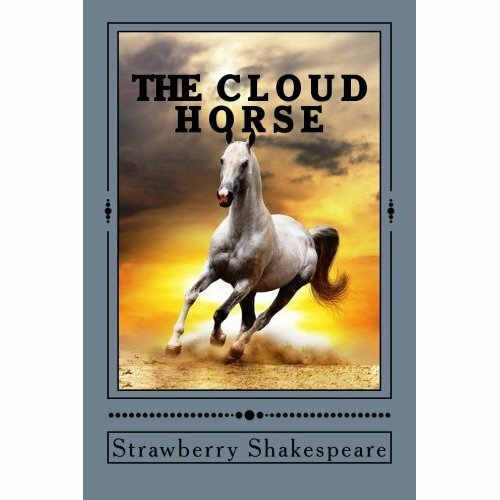 Diamond Star Press gave me an electronic version of The Cloud Horse for review purposes. The opinions in this review are solely my own after reading this book. It is always a wonderful thing when children are encouraged to use their imaginations. The Cloud Horse inspires just that. As an adult reader, I too, enjoyed the adventures of Neville as he took a ride on the cloud horse. The author does a great job of painting pictures in our minds, so the reader can feel as if he/she is experiencing the same events. The story is whimsical and magical—just what we want for our kids today. Too often, the picture is given to them, but children who still have their noses in books can go anywhere, and for many, a story such as The Cloud Horse will open up their minds to create their own adventures. The second story in the book is “White Fire,” in which a young Native American girl saves her best friend’s life. Through this experience, she learns that she is more capable than she thought possible. This story opens the door for discussions with children regarding the expectations they have of themselves and the possibilities that lie within their reach, if they just stretch themselves a bit. The third story, The Appaloosa Colt, shows how a young girl can show responsibility and work for something that means the world to her. She has a collection of model horses…, which leads to her opportunity. I can see parents and teachers using this story as a guide for their own children/students to the possibilities and connections that they might be able to pursue. This book containing these short stories would make a wonderful addition to any child’s library. Finding great stories, which also involve life lessons, is not always so easy these days. Thank you, Strawberry Shakespeare for putting this collection together for young readers. The Incredibly Awesome Adventures of Puggie Liddell makes me think about The Magic Tree House kids more grown up…and instead of the tree house taking the kids on an adventure, Puggie’s modified Gameboy activates a portal. This book’s target audience is middle graders and young adults, which is good because they will “get” the bantering that goes on between Puggie and his sister, Gigi. I’m guessing the sibling rivalry portrayed in this book is typical for kids in this age bracket. The brother/sister duo end up in the 1890s, and have to use teamwork to find their way back to present time…the tension is created because Nikola Tesla, an eccentric scientist, wants to get his hands on the Gameboy to use it for evil…to create a world disaster. Problem solving is a skill that we want for all of our kids and Puggie and Gigi are good examples, as they work together to move the story along. The history that is included will most likely lead to more research by kids who get excited about the events in The Incredibly Awesome Adventures of Puggie Liddell. I think that I might have been more interested in history had it been presented in such a fun way. Adding historical facts and “characters” is a great way to pull kids into the past to see how it has affected their lives. Karen Mueller Bryson has a great thing going with the Puggie Liddell series. Tween kids will definitely want more than one. I think the book’s length of 90 pages might also make it attractive to some reluctant readers. I asked to review this book, and was given the book for review purposes. The opinions expressed within this review are strictly mine based on my reading of The Incredibly Awesome Adventures of Puggie Liddell.